President Donald Trump is about to make the most destructive foreign-policy move by a U.S. administration since the invasion of Iraq in 2003. 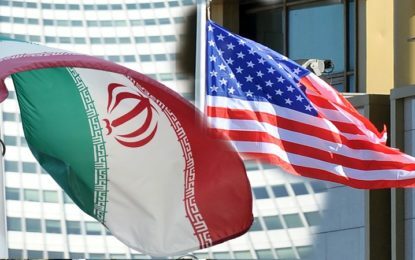 It is not simply that Trump reportedly plans this week to decertify Iran’s compliance with the nuclear deal, also known as the Joint Comprehensive Plan of Action (JCPOA), despite the fact that every other signatory country, the International Atomic Energy Agency (IAEA), and even Israel’s intelligence agency agree that the deal is being implemented properly by Iran. No, seemingly embarrassed by his inability to just “tear up” the “worst deal ever negotiated,” Trump is about to do the thing uberhawks have demanded for years: designating Iran’s Islamic Revolutionary Guard Corps (IRGC) as a foreign terrorist organization and putting it on the same level as al Qaeda and the Islamic State. Far more than decertifying the Iran deal, the designation of the IRGC would massively and unnecessarily complicate the fraught U.S. relationship with Iran. The certification requirement was imposed by Congress — it is not a part of the JCPOA, and Iran’s foreign minister, Mohammad Javad Zarif, has even acknowledged that it would not necessarily mean U.S. withdrawal from the deal. 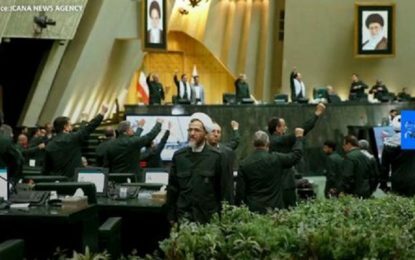 Designating the IRGC as a terrorist organization, however, would have immediate and potentially disastrous effects that could reverberate across the Middle East. It is, after all, a branch of the armed forces of a U.N.-member nation and one that has shown little hesitancy to strike back at whoever threatens it or the Islamic Republic. While the IRGC, particularly through its domestic volunteer militia, the Basij, may be responsible for some of the human rights abuses internally, the corps has been viewed positively by most Iranians in recent years due to its external actions. It is perceived as being singularly successful in fighting the Islamic State, especially in Iraq — even preventing a self-proclaimed “caliphate” from taking Baghdad as its capital. This is also true in Syria, where, to borrow another U.S. administration’s phrase, they fight them over there so they don’t have to fight them at home. It is true that the IRGC considers the United States and Israel as implacable foes — as the political system in Iran generally does — and has sponsored, supported, or funded groups across the region that have taken up arms against either country. As a result, some in the United States see it as a terrorist-sponsoring organization. But that fact does not generally resonate with the public in Iran, not when they see Israel and the United States, especially under Trump, employ hostile rhetoric and even action against their country. Qassem Soleimani, the commander of the IRGC’s expeditionary legion, the Quds Force, and the bogeyman of the U.S. military, is nonetheless largely viewed as a nationalist and something of a hero in Iran — ideological but apolitical — even by some of those opposed to the Islamic system. His Instagram account has thousands of followers and hundreds of comments, his photos are splashed across the front pages of Iran’s many daily newspapers, and it’s hard to find an Iranian living in Iran to say something bad about him. He is, after all, not concerned in the least with domestic politics, where the Revolutionary Guards may have a negative reputation among reformists and critics of the governing system. The sympathy Trump expressed for the Iranian people in his inaugural U.N. General Assembly speech — hardly welcomed by Iranians as genuine, given the travel ban that forbids them from visiting America — will ring doubly hollow if the designation of the corps becomes a reality. If the very organization protecting Iranians and their neighbors from terrorist groups, and the military branch that has the same professed goals as the United States in defeating the Islamic State and other militant groups in Iraq and Syria, is deemed to be not just an adversarial force but a terrorist group it might very well be seen by some Iranians as stopping just shy of a declaration of war against their country. The designation would impact not just the Iranian military elite but also ordinary citizens. The designation would impact not just the Iranian military elite but also ordinary citizens. The IRGC has in its ranks many conscripts serving their mandatory two-year military service, and as such their families will essentially be told by the U.S. administration that their sons and brothers are, in fact, terrorists. Iran has taken a “wait and see” attitude toward decertification, but it can hardly do the same in this case. It will have to react immediately through inflammatory rhetoric — the commander of the IRGC has already called for the United States to evacuate its military bases in the region — and aggressive posturing. Does the United States want IRGC navy speedboats — the very ones Trump famously threatened to “blow out of the water” during the campaign — patrolling the Persian Gulf even one degree more aggressively? Another fact seemingly ignored by the administration is that the IRGC is also engaged in wide-ranging economic activities, which were begun in the reconstruction period after the Iran-Iraq War when few foreign firms were willing or able to enter the Iranian market. It is difficult to certify that any particular business in Iran is not linked in some way, however minor, to the IRGC or an IRGC-controlled entity or even just to former IRGC officers. If the IRGC becomes a “foreign terrorist organization,” it will become illegal for any company doing business with it to do business in the United States. Mike Pompeo, the current CIA director, made this very point in these pages before he was appointed to his post by President Trump. How that will be done while ensuring the survival of the JCPOA — whose benefit from the Iranian perspective is that sanctions are lifted and business with foreign firms is encouraged — is left unanswered by those leaking the news about the administration’s decision. It seems that businesses, and especially major international banks, will be reluctant to take the risk that they will be labeled as terrorist enablers by doing business in Iran. The media is reporting that Trump has a foolproof plan of action to ensure that Congress does not reimpose nuclear-related sanctions despite decertification, thus ensuring that the JCPOA does indeed limp along. But even then there is still cause for concern. The uncertainty about U.S. adherence to the deal — which has existed since Trump took office — will only increase among businesses, especially large banks, which have been warily looking at potential commercial opportunities with Iran since the implementation of the deal in January 2016. This will worsen the deal’s already less-than-expected economic benefits for Iran, which will put tremendous pressure on the reformist and pragmatist elements in government who support the nuclear deal and an opening to the West. These steps, along with the travel ban and Trump’s perceived hostile comments toward Iran in his U.N. speech (broadcast live on state television in Iran), will force moderate elements in the Islamic Republic’s system to take a much harder line against the United States and potentially the West in general. That may be inconsequential as far as the United States is concerned, but it is hugely consequential for Iranians. Twice in the last five years, the Iranian electorate has voted for pragmatism, reform, more freedoms, improved living standards, and an opening to the West. These changes were embodied in President Hassan Rouhani’s administration — but if his administration is rendered unable to deliver on any of its promises, then the “Persian spring” first heralded by President Mohammad Khatami might very well become its autumn. While Iran, and even some Western countries, will point to the United States as at fault in undermining the nuclear deal, that fact will hardly compensate for the disappointment and discouragement of reform-minded Iranians and will add to the delight of the most extreme hard-line conservatives. How that can be good for the United States, the region, or indeed the world — let alone for ordinary Iranian citizens — is hard to imagine. President Trump’s obsession with Iran is turning into an own goal. President Trump’s obsession with Iran is turning into an own goal. After the campaign, the president could very easily have left the Iran deal alone while he focused on domestic issues and more pressing international concerns. After all, Iran’s nuclear program, at least, poses no danger to anyone and won’t for his entire term of office, even if he runs again in 2020 and wins re-election. Neither the media nor the American public was waiting with bated breath each time a certification or sanctions-waiving deadline approached. It was the Trump administration that signaled, as it has done ever more forcefully since the summer, that there was breaking news to be reported on the Iran front. As recently as last week, Trump commented, while posing for photos in the company of military officers and their families at the White House, that perhaps what witnesses were experiencing was the “calm before the storm.” The only cryptic aspect of this discomforting statement was whether Trump was referring to a potential war with North Korea or a possible conflict with Iran. That Trump would doggedly pursue this self-defeating course despite the advice of every one of the United States’ closest allies, with the exception of Israeli Prime Minister Benjamin Netanyahu; the apparent advice of even some members of his own cabinet; the views of tens if not hundreds of columnists and respected journalists, analysts, and independent think tank scholars; and the United Nations boggles the mind. Creating a crisis where none existed is a self-defeating strategy, and Trump’s apparent decision to decertify Iran’s compliance is surely laying the groundwork for a crisis. But gamblers who find themselves on a losing streak often double down. By designating the IRGC as a terrorist organization, Trump will be committing to a path that will further alienate the United States from the Iranian public and potentially set the stage for a devastating regional conflict. Trump may be hoping to recoup his previous losses with this gamble, but the truth is that he is simply making yet another bad bet — doubly so.